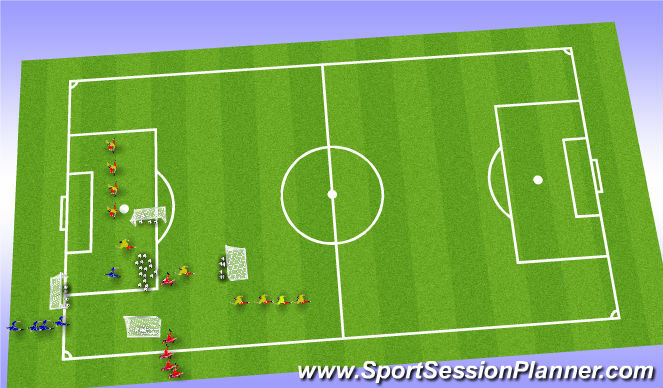 Football/Soccer Session (Beginner): hungry hippo- pull back. Work on different touches. Ronaldo, long touches. Messi touches, keep close to the body. 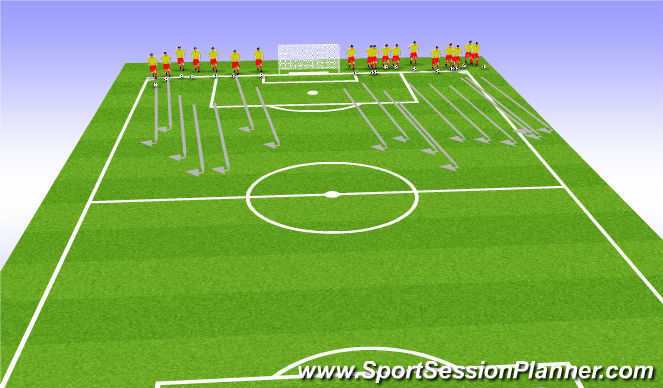 Boxes, keep the ball betweeing the feet and keep looking up in all touches. Give kids different commands, for different touches. 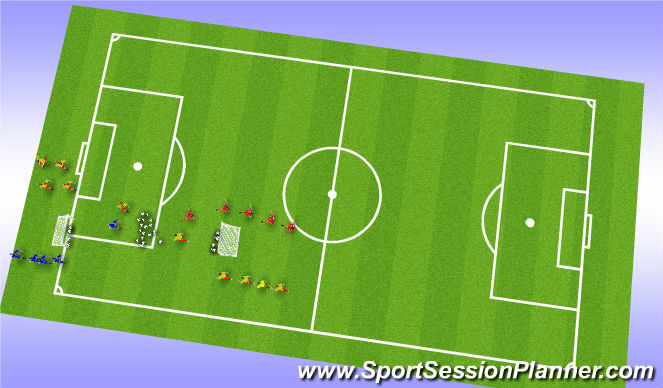 Warm-up - Give players commands to do certain type of move with the ball. Boxes on pizza. Messi touches on Mr. Clean. Ronaldo touches on Madrid. Organization - 4 mini goals. lots of balls in the middle of the goals. 5 players in each goal. 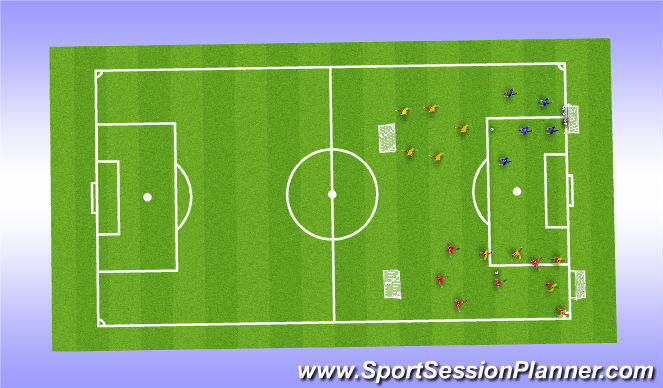 Objective - get the hippos (kids), to run to the ball and do a pull back, go to the goal and score. When player scores the next one goes. Coaching point. To make a correct pull back on the ball and have the ball pulled enough to run into for a shot. Shot must be with laces, knee and chest over ball. Organization - Two goals. Lots of balls in the middle. Objective- players go out to he middle to retrieve a ball. The first one to the ball, does a pull back and then goes to try to score. The player that doesn&apos;t win the ball becomes the defender. Coaching points - Make sure the pull back is done correctly, with the sole of the foot. The ball can&apos;t be pulled to far off the body, in order to run onto it, control and shoot on goal. Organization - Regular free flowing game. No restrictions. If there are more players than usual, have to games going on at the same time.